On the last page of the Caldecott Medal-winning book Jumanji, young Danny Budwing is seen running home with a game tucked under his arm. Now, after twenty years, Chris Van Allsburg is ready to reveal what happens when Danny and his brother roll the dice. This time the name of the game is Zathura and Walter and Danny Budwing are in for the ride of their lives. 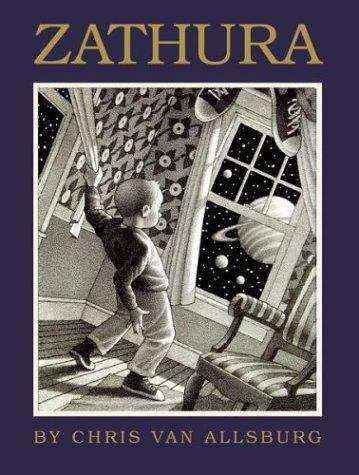 Only the mind and hand of Chris Van Allsburg could create such a fantastic world where shifts in time and space and perspective take the reader on an extraordinary journey.